Jazz-manush, gypsy jazz or gypsy swing, was born in the 30's in Paris. This city was an entertainment center and attracted a lot of musicians, including gypsies. At this time in Europe, began to gain popularity new music, came from America - jazz. For the first time, Jango Reinhard joined the fashionable jazz style of performance with his native gypsy music. The new direction was called jazz-manush; "Manush" is the self-name of the French Gypsies. A solo instrument in gypsy jazz, as a rule, is an acoustic guitar, but can be a solo violin, accordion or wind. The drums are almost always absent - their role is played by a guitar played in a special way. Django Reinhard is not only the founder, but also the iconic figure of gypsy jazz - today in his honor called thematic festivals, his name appears in the name of many modern bands playing jazz manush. According to the Gypsy tradition, the secrets of mastery are transmitted from generation to generation orally. The case of Django Reinhard continues with his descendants - Babik and David Reinhard. Other modern performers: the brothers Rosenberg, Dorado and Chavolo Schmidt, Angelo Debarr. Listen to the collection Jazz Manush in high quality, absolutely free. You can listen to the whole collection, or separately song by song. 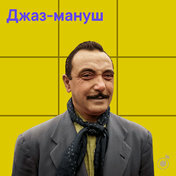 In addition to Jazz Manush of the collection, you can find any other one by following the link and get information with the already collected collections and collections of tracks, songs and music.